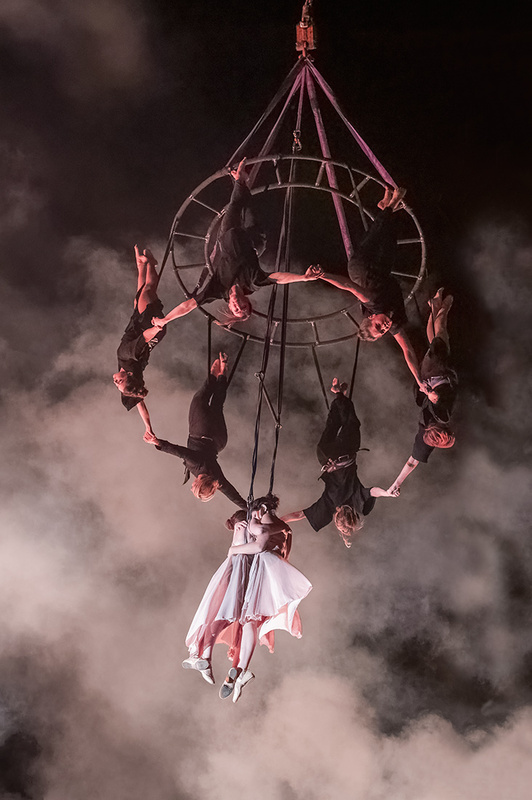 Dark Sky Aerial is a cutting-edge, aerial theatre and performance art company based in Flagstaff, Arizona and Mill Valley, California. The 501(c)(3) non-profit organization is dedicated to creating thought-provoking repertory work, connecting the audience to their humanity. Dark Sky Aerial is a dream realized by six women: Abby Chan, Carrie Gaydos, Elisa Venezia, Isabelle Dove-Robinson, Nikki Gallant, and Joan Garcia.